Guess I'll toddle along to the meeting to hear first hand what the 'alternative' proposal is. Who is involved in it, what format it will take, and a thousand other associated questions. Sounds like another entertaining evening in the FeegieField of Dreams corporate suite. I'll have a Budweiser Campbell, get em' chilling.... here we go, again. Not the best news but such is life. if something wasnt quite right the first time,what will make it work second time around.....a lesser deal? Who knows? Best thing is to try and attend the meeting - find out why the final hurdle couldn't be cleared, find out what is on the table now, basically arm yourself to the teeth with relevant questions, go along and ask them. That's my intention anyway. It's usually a good night down at Cafe CK... This time we should do pie and mushy peas, make a right good night of it. Yea that's about right.......Hope the meeting stays positive as I think REA wanted to achieve something special for all of us but to no avail. Definitely looks to me that the CIC group are starting with a blank canvas now and will reveal what the alternative on the table is. This is an open meeting so perhaps this is an opportunity for the likes of Ken McGeoch to put their cards on the table and let the fans know of what proposals (if they are still on the go, that is) for their own way forward. I'll certainly go along and find out more....hopefully those in attendance can get some answers to what the issues have been and what can be done to move this forward. Despite being very sceptical of REA & 10000Hours at the start of the CiC bid, once I found out more about the people involved and understood the concept it became something that I felt offered the best way forward for SMFC. I still believe that this is the way forward for Saints and other provincial clubs - however it may be that many of the initial CiC pledgers may now hold back and wait and see what happens rather than commit to a monthly £10 membership. Hats off to REA for actually trying to make a difference with the CiC.....he has put in a huge amount of time and effort to introduce a radical change in the clubs ownership model. For all the criticism directed his way, I've yet to see an alternative solution or bid that could generate additional revenue streams and integrate further with the wider Renfrewshire community but at the same time put the club in the hands of the wider supporter base rather than one individual or small group who may not be able to sustain the club moving forward. For all the criticism directed his way, I've yet to see an alternative solution or bid that could generate additional revenue streams and integrate further with the wider Renfrewshire community. Something that Michelle Evans, who is violently opposed to the CIC, has yet to come up with. Be an interesting evening. When we saw the length of time from the last meeting most assumed something wasn't right so be interesting to see current proposals. Why would Michelle Evans need to come up with an alternative? People who don't want our club to go down the CIC route don't need to come up with alternative solutions. The 52% is for sale, if the CIC doesn't go through the shares will remain up for sale. There's nothing wrong with not joining the CIC. The planned meeting will concentrate on two distinct areas of discussion. I will try and cover that meeting "live" so that as many St.Mirren fans as possible can get fully up to date on the history and the way forward. Of course the official end of the CIC process must also heighten the chances of McGeoch putting in an offer and possibly gaining control of the club. I think it is now time for those guys to be more public with regard their intentions, as they have said absolutely nothing about who is involved and what the plan is. Why would Michelle Evans need to come up with an alternative? People who don't want our club to go down the CIC route don't need to come up with alternative solutions. The 52% is for sale, if the CIC doesn't go through the shares will remain up for sale. There's nothing wrong with not joining the CIC. Good post mate. Apparently the CIC is not deid as promised. Good. It beggars belief how a few fans can be so vehemently anti community ownership of our Club, despite the plethora of info provided and actually gloat over the possibility of failure of an opportunity for fans to own the Club we all love. My fear is £2million debt on our club. The cic has debt but not bank debt. You have already said a bid might not incur this figure but can you explain how that could happen?... cause for me the BOD are selling soon and no bidder has £2million to write off. For all we know an alternative bid may not need to borrow to buy, a consortium may have the funds required to do so. We don't know though. The board are selling soon? They need a buyer or they wont be selling up. I wonder if Ken McGeogh and Gordon scott will come together to table a much reduced offer and incorporate a lot of what the cic were trying to achieve. I can't see the selling consortium getting anywhere near the £2 million asking price with the cic deal collapsing. It was suggested that McGeochs bid would also contain an element of fan ownership or eventual fan ownership. If the CIC already has 1.3m secured (providing it wasn't dependant on the final funding being secured) then could McGeoch make up the additional 700k to meet the 2m asking price, on the provision that the 700k would be a more conventional loan which he would profit on? Or would the rules of CIC's prevent something like this happening, ie, combined private/public cash, as it could be argued that someone could profit from public spending? If you believe SG he has been offered more than the £2million asked. 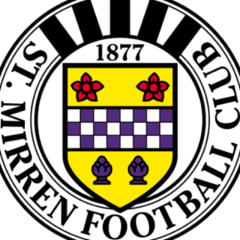 St Mirren have been up for sale for 2 yrs with 10000hrs the only interested party that meets the criteria for taking the club forward. I don't think you get this davidg but even if the consortium have £2million cash.....they will still need to get this back from the club. 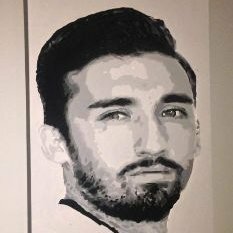 I don't think you get this davidg but even if the consortium have £2million cash.....they will still need to get this back from the club. Please explain why they would need to get this back from the club if they had the cash to purchase the shares. They Would be buying shares with the cash. The club wouldn't owe them anything as they haven't lent the club any money. When they decide they want to try get their £2m back they would put the shares up for sale, just like the selling consortium have done. That seems to be a bit stronger than what 10000Hours said. However we have been working in the background to put together an alternative funding proposal for the 52% share purchase. It has been agreed with the selling consortium that we will continue to explore this alternative. The main problem with the sale of the club, whether to the CIC or to anyone else, would appear to be the price that the selling consortium are looking for. In the current climate I can't see any private individual or consortium of individuals sinking £2m into a club like St.Mirren without incurring some sort of debt. If that debt is secured against the football club, then I certainly wouldn't be very happy about it and I doubt I'd be alone in that thinking. Poor choice of words. I meant the official end of the original CIC proposed buy out. The alternative model being worked on will, I belive, be very similar, in that the fans will retain ownership and control of the club.